All ticket sales are final. Opera SB will not issue any returns or refunds. Patrons may donate unwanted tickets for resale. Only subscribers may exchange their tickets with no exchange fee. Those exchanging tickets may only exchange tickets between performances, not productions (e.g. Friday La Boheme to Sunday La Boheme). When exchanging tickets to a higher Price Zone (+, P, A, etc.) patrons must pay the difference in price. When exchanging tickets to a lower Price Zone, patrons will not receive a partial refund. (Friday La Boheme Price A $200 Sunday La Boheme Price A $214) patrons will not need to pay a price difference. All Opera Gift Certificates will be redeemed through the Granada Box Office. Gift certificates must be redeemed by the date listed on the certificate in order to remain valid. 10% Subscriber Discount – Subscribers receive a 10% discount when purchasing additional tickets for an Opera performance. 15% Cast Discount – Cast/Crew ticket purchasers receive 15% discount for purchased seats. All donations made to OperaSB are final and nonrefundable. 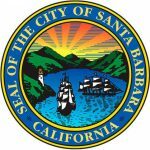 Opera SB is partnering with the Santa Barbara Center for the Performing Arts on all ticketing for the 18/19 mainstage season. For more information about their respective ticketing policies, please visit the Granada Theatre & the Lobero Theatre. Any questions regarding our terms & conditions may be directed to [email protected] or 805-898-3890. Our staff is happy to assist you.